Trucks are rolling in! 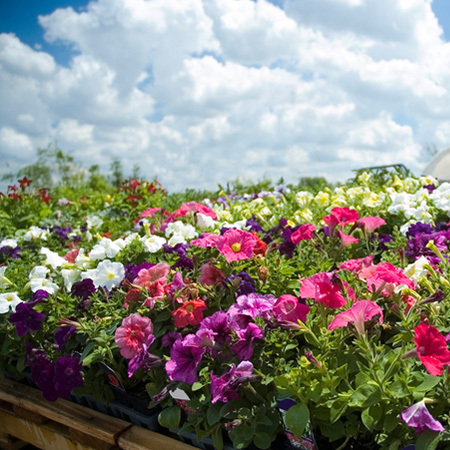 Spring is here and our nursery is stocked and ready. Your Backyard ... Reimagined See what we have in stock because NOW is the best time to get your projects started. WANT TO SEE HOW IT LOOKS? We have a large display area with many of our products used in installations for you to view for inspiration or to get an idea of what your finished project will look like. 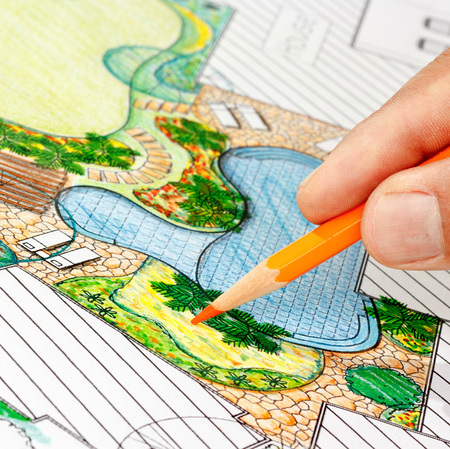 Whether it's Masonry, Hardscape or Landscapes products...we've got you covered! We're more than just a store! Design, trucking, and fabrication...we do it all! We stock a large variety of trees, shrubs and perennials! Learn more about our Nursery! 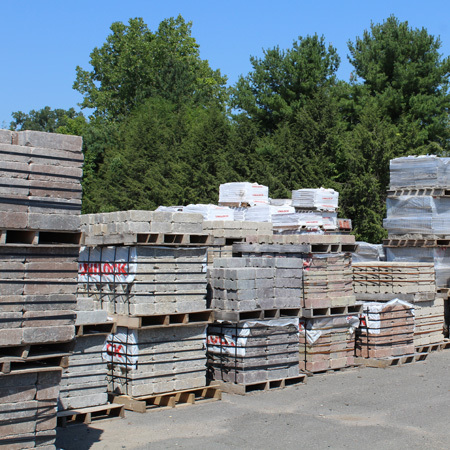 Here at Dunning Stone & Supply we have worked hard to become New England's best hardscape showroom and stockyard, catering to both the public and contractors. Boasting a 9 acre stockyard and nursery, one of the largest in the area, we are proud to service customers in Connecticut, Rhode Island, New York and Massachusetts. 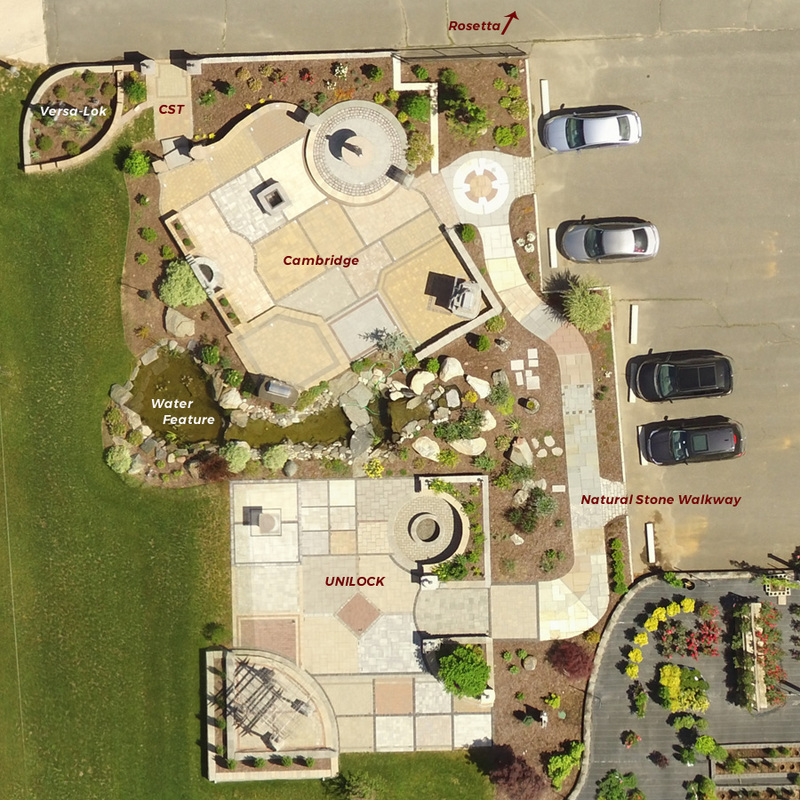 Since opening we have built amazing displays featuring natural stone, retaining wall, paver patios and walkways and gardens, allowing customers and contractors a space to both explore and learn. Visit our 3000 square foot interior showroom, a space where you can talk to experts about installing your outdoor living hardscape or any landscape needs. Click on the image to watch our video. We encourage all of our customers to come and explore our beautiful displays. In order to help you navigate the different materials and vendors, we have created a downloadable map of our displays to help you find the right areas of our grounds. You can view it online or download a printable PDF.